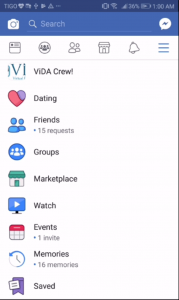 Virtual Dating Assistants has revealed screenshots of the Facebook Dating interface. It is currently testing in Colombia so these new images give the rest of the world an insight into the product. Facebook users in the country have received a notification which introduces them to Dating and asks if they want to opt in. If the user wishes to use Facebook Dating they are taken to the sign up pages. This is where the pink and purple colour scheme is introduced, which is consistent throughout the product. The sign up process is very similar to other online dating services. The only information that is transferred across from the main Facebook profile is the first name and age. 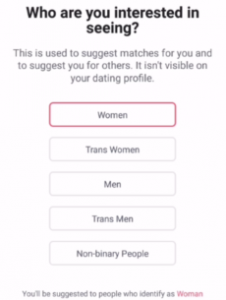 Users can pick from five different gender options, depending on which one they identify with the most. They are even allowed to pick multiple options if necessary. 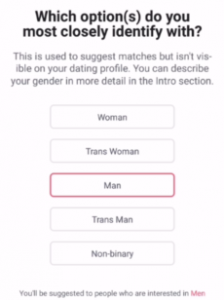 The same five gender options are also available when choosing who they want to match with. Facebook Dating was always going to exist within the main social media platform, rather than as a standalone app. The Dating homepage is accessed very easily through the activity feed options. When browsing through potential matches, users can toggle on and off whether or not they want to see friends of friends. 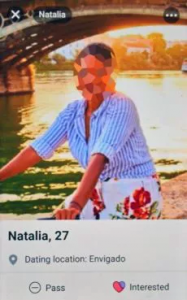 Facebook will never make their Dating profile visible to people on their own friends list. There is no swiping or matching on the platform. Instead, users click the “Interested” button on a profile they like, which then prompts them to send a message right away. Messaging is just limited to text to eliminate the chances of any unwanted images being sent. Earlier this month, it was revealed that suggested matches would appear from groups and events. These screenshots show how suggested profiles will be displayed and how a user can view them. There is no word yet on how well the initial testing is going for Facebook, or when the product will be made available in new markets.